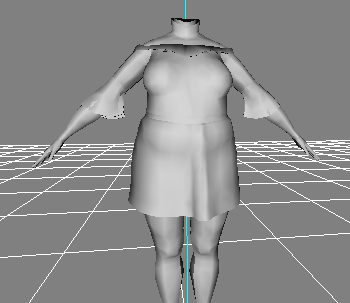 So I finally decided to make a full body cas item for sims 3 since ive recently learned how to use marvelous designer and... the most of the problems Ive had wasnt the creative process... it was tracking down the right tools and finding a working technical workflow. Ive finally gotten everything to work, cast channels, normal and specular map, bone assignment... everything except morphs. Ive tried to do this two ways. One is manually replacing morphs in the S3OC cloned package but still using mesh toolkit to generate bgeom morphs. Other one is to add bgeom morphs with the toolkit to CTU made package. 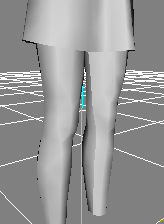 Ive later also tried the first method with geom and bgeom morph files together but it still just made the mesh distorted when using body sliders. I dont have pictures now because i am on mobile but i can post later. My problem is that i dont know what is the right workflow when making/adding morphs as there is not a lot of info on that on the internet. 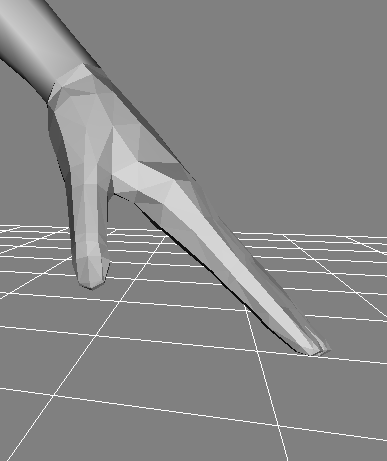 It might be because I've used bgeoms but how could a bgeom be badly generated from a proper morp mesh? Everything is done like in her video so I'm a little confused. Solved. It was a problem with UV on hands, tris UV islands got randomly mixed up so they looked shredded like that, however now it is fixed. 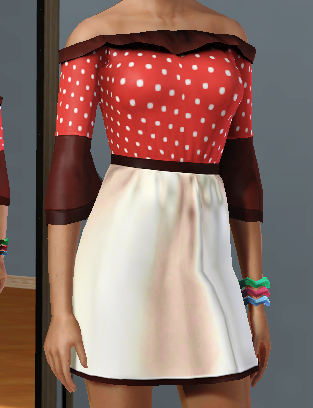 TSRW and Mesh Toolkit method is really the best way to make Sims 3 clothing. Mesh Toolkit saved me so much trouble! ahh! Yeah, I encountered that too before, because I noticed doing it manually or the S3OC way is for most clothing a bit time consuming and not that fun. Unless you're making super complicated clothing that might have specific hacks or what not but tht's just in rare occasions.